Dr. Adel completed his MBBS (1987) and his Diploma of Internal Medicine 1991) at King Saud University where he received a fellowship of internal Medicine in 1992 and of Cardiology in 1996. He also completed the MRCP in the UK, is a member of the Arab Board of Internal Medicine (1993), and of Cardiology (1996). 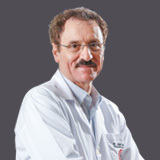 Dr. Adel interned at King Khalid University Hospital and Riyadh Central Hospital where he performed three monthly rotations in surgery, Obstetrics and Gynaecology, Paediatric Medicine, and Adult Medicine (1987 – 1988). He completed the Arab Board Training Program as a resident with three monthly rotations amongst more than ten departments (1988 – 1991). 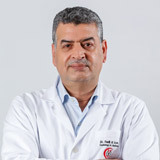 Dr. Adel worked as a Registrar in the Cardiology division at King Khalid University Hospital (1991 – 1992), and was then promoted to Senior Registrar in Cardiology in December 1992 (1992 – 1997). 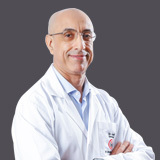 He was Locum Chief of Medicine and Consultant Cardiologist at Al Fanateer Hospital (Jubail and Yanbu Royal Hospital) in 1994, Locum Consultant Cardiologist at Al Hammadi Hospital in 1995, and Locum Consultant Cardiologist at King Fahd Hospital, Saudi Arabia, in 1996. Dr. Adel has been involved in postgraduate clinical sessions and mock exams for the MRCP and Arab Board Exams candidates since 1992 at Al Hammadi Hospital. 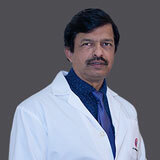 He participated in the organization of the Arab Board clinical courses and examinations at King Khalid University Hospital and Riyadh Central Health Hospital (1991 – 1995). Dr. Adel is an instructor in Advanced Cardiac Life Support and have participated in ACLS courses, as well as ECG session lectures organized by the Saudi Heart Association for postgraduate doctors. 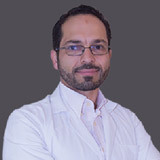 Dr. Adel has experience in Exercising ECG and Thallium tests, Holter Monitoring, M-Mode, 2D and Doppler Echography, permanent and Temporary Pacemaker Implantation, right and left Heart Catherization, Diagnostic Coronary Angiography, Angioplasty and Stenting, Pulmonary Angiograms, Intra-aortic Balloon Insertion, Vena Caval Filters, and Primary PTCA and Stenting. Dr. Adel has several publications to his name including the latest “Curt Tysk, Adel Y Al Eryani, Amin A. Shawbkeh, Acute Pancreatitis Induced by Fluvastatin Therapy. Journal of Clinical Gastroenterology. 35(5), 406-408, 2002”. He also has a symposia titles “Use of Doppler Echocardiography for the Diagnosis and Differentiation of Cardiac Tamponade, Constrictive Pericarditis and Restrictive Cardiomyopathy. Saudi Heart Association 2nd Advanced Echocardiography Symposium and Workshop, 7-8 April 1996”.